Computers are an integral part of our lives. From the way we conduct business and access resources to how we communicate with friends, computers put the information we need right at our fingertips. So, it is no surprise that one of the best places to start a private investigation is on the computer. From tablets and smart phones to desktop computers and zip drives, computer forensics is the science of investigating the devices we utilize every day to produce solid evidence. While anyone with basic IT knowledge can conduct a history search, Computer Forensics is much more complicated than that. 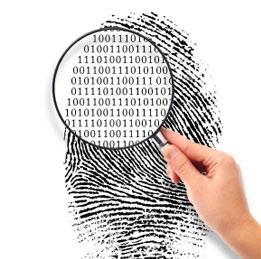 In fact, computer forensics requires extensive computer knowledge, often requiring the reconstruction of files, retrieval of hidden information and employing complex investigative tools to preserve the integrity of evidence. That’s where Saffron Investigations comes in. As a seasoned private investigator firm, we are proud to serve law offices, individuals and corporations throughout South Florida with a complete range of private detective services, including the latest in state-of-the-art computer forensics. From Pembroke Pines, Hollywood, Plantation and Fort Lauderdale to Sunrise, Coral Springs, Weston and Pompano Beach, Saffron Investigations is experienced in conducting private investigations throughout Broward County and Miami. If your investigation requires the utilization of computer forensic techniques, you can be confident in our ability to thoroughly investigate computer hard drives, servers, databases, cell phones, and even digital cameras. We will leave no stone unturned; even if that means reconstructing files that have been deleted or recovering web pages and emails that were through to have been deleted. So, don’t leave your sensitive materials in the hands of an IT provider; trust in the expert investigators with in-depth knowledge of computer forensics and the legal requirements necessary for any recovered evidence to hold up in a court of law. Trust in Saffron Investigations. Digital files produce some of the most compelling evidence in court. However, they can be the most difficult to recover and collect. Computer forensics is more than just sifting through files, it takes a targeted, investigative approach. So, whether you have a marital investigation in Fort Lauderdale, a fraud investigation in Miami or an employee investigation in Pompano Beach, you can rely on Saffron Investigations to recover relevant information from all types of computers and devices. We Take our Forensics Seriously! Don’t take a chance that can cost you a lot of time and money! All evidence collected for trial purposes must be done in a manner that doesn’t disqualify its value! Our Investigators have both Federal and State level trial experience! We welcome the opportunity to discuss your unique case and how we can put our technology and expertise to work for you. Contact us today. We look forward to assisting you.